Advantages of Plasma/Tesla Coil Lighters? I suspect that if you had an accidental discharge with a revolver, you had cocked the gun so that it took little pressure on the trigger to release the hammer and fire it. Otherwise, the length of the trigger pull and the normal amount of trigger pressure required to fire an un-cocked revolver mitigates against accidentally firing it. I know you think semiautomatic pistols don’t require manual safeties, and various arguments continue to be made by those who like the “ready to fire” semiautomatics. However, I could send you links to many stories about these guns firing when they might not have if only there had been a manual safety engaged on them. Some of these incidents involve highly trained law enforcement officers who shot a colleague! Other incidents, many of them, involve somebody picking up a pistol that was in plain sight or because they knew where they were stored, and which was loaded and ready to fire. Tragically, many of these incidents involve very small children as well as others who don’t know how guns function but have it discharge because they put some amount of pressure on the trigger. When someone gets shot in these incidents, it often makes the news. When no one gets shot it doesn’t appear to merit mention in the news, and I suspect that law enforcement often does not get notified. This suggests that perhaps more such accidental discharges occur than get documented. Any “highly trained” person who is proficient with a handgun should have no problem disengaging a manual safety when they deliberately want to fire the weapon. And having such a safety engaged would be additional insurance against a child (especially) or an untrained person firing the gun if they happen to get their hands on it. No, in fact it was double action on the revolver. There it is again that typical mistake, assuming AD (or ND) occur because a trigger is too light or a gun too easy to shoot or it doesn’t have a safety or it doesn’t have enough of them. Don’t get me wrong, I understand that hair trigger isnt the best idea for a combat handgun. But even in single action, with modern, quality guns they still shouldn’t go off unless the trigger is actually pulled. These accidental or negligent discharges, they rarely are a mechanical flaw. 99% its someone dropping the hammer without realizing there’s a live round there. Even in the cases where too much pressure is put on a trigger without realizing it during a stressful situation, at the end of the day it’s still a trigger being pulled and the gun doing what it’s supposed to do. That finger had no business inside that trigger guard in the first place. As I mentioned in the previous post, there’s a reason why you see so many of these incidents involving Glocks… its because Glocks are everywhere! If Glocks make for over 60% of the guns issued to law enforcement, police and government agencies, then obviously they will be the ones used when AD or ND occur. Now what would be really interesting would be to get our hands on some data comparing current accidents and accidental discharges with those of a few years ago when Glocks weren’t in the scene. On the same line, a handgun that ends up in the hands of a child unsupervised means there’s terrible negligence by the owner of such weapon. Can the safety save the life of a kid? Maybe, but kids these days will figure out in seconds how to disengage the safety. Guns with safeties have been involved in their fair share of tragedies. The only upside I can see in them is in the case of a struggle where the gun ends up in hands of the attacker, who may not have time to figure out the safety. This is along the same lines of mag release safeties, where a cop manages to drop the mag in the struggle before losing the weapon and the gun simply wont fire without the magazine (FN Hi Power). Then again, a safety may end up being forgotten during the fight and get the good guy killed, or the inability to shoot without the magazine inserted may prove as well fatal. At the end of the day law enforcement voted with their issued weapons and it clearly points towards Glocks or similar handguns. I have enjoyed your site for many years. I started reading it when you were still in Argentina. We here in the U.S. are still headed down that same self destructive path but maybe a little slower that one would expect. Even though I am a Sig fan ,(P226, P228, P290), I must agree with your article on the Sig P320. I strongly disagree with your assessment of Glocks. Many professionals and truly experienced gunners here in the U.S. are dropping the Glocks in favor of a safer designed pistols. The Glock is 90% cocked with NO safety. Anything coming in contact with the very light trigger will fire the weapon as has been demonstrated by and ever increasing number of accidental discharges. These are referred to as "Being Glocked". The Springfield XD series pistols and Heckler & Koch both are much better weapons. The XD has the grip safety, (similar to 1911), and a drop safety. It is in my opinion, and many experts agree, that it is also of higher build quality than Glock. The Military did make a mistake by going with the P320 but the Glock would not have been the right choice. In fact they should stick with a proven gun such as the Sig p226, FN, or HK. But then opinions are like A-holes, we all have one. Some people prefer to use ND, negligent discharge, but I don’t think they are the same thing. Negligence involves a certain incompetence and purposeful misuse of the firearm (playing with it, knowingly leaving it loaded, in dangerous positions or pointing it in unsafe directions). Accidental discharges are just that, accidents which can and will eventually happen to all of us, simply because we are imperfect humans. The only difference is that those that remember the safety rules will have a hole in a dresser, floor or wall. Those that don’t will get someone killed. I’ve have an AD with a Glock and with a revolver, which perfectly illustrates what I have to say about this topic: If a gun fires when you pull the trigger that’s not the guns fault, that’s on you. A gun is supposed to fire when you pull the trigger. A gun with safety makes no difference if you disengage the safety and pull the trigger. A manual safety lever isn’t some magical insurance, it won’t avoid the tragedy if you fire a round you don’t intend to. The Glock is basically as safe as a revolver, and no one ever complained about revolvers not having enough manual safeties nor did It ever occur to anyone to put one in them(although there is such model). 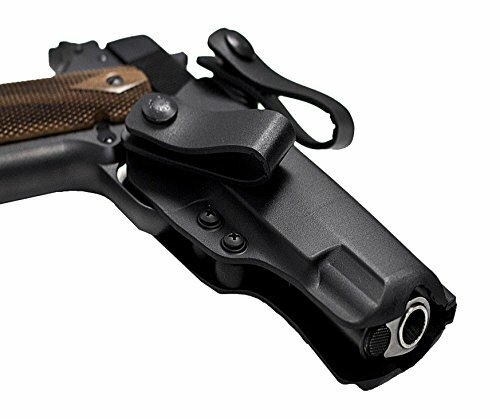 Like the revolver, part of the safety of the Glock is its sheath, which should be rigid, made of hard polymer and completely cover the trigger guard. Never use leather holsters. Leather softens when wet (rain, sweat) and can deform enough to get caught inside the trigger guard when reholstering. Use polymer. I’ve used and strongly recommend this IWB holster, the Blatech Phanton. 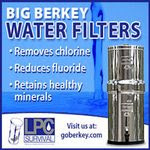 It’s affordable and extremely safe and reliable. The Glock with a round in the chamber is on a half cocked position so to speak. The striker isnt fully pulled back which is done when pulling the trigger, therefore the loaded Glock is perfectly safe and even if dropped it will not fire. What will cause it to fire is something actually pulling the trigger, which is why you should never try to “catch” any gun when dropped. Most serious professionals that I know of carry Glock. I’m sure that if Glocks were that bad, over 60% of the PD in USA wouldn’t be issuing them. The famous “Glock leg” or as you say “being Glocked”, is simply a consequence of two things. First, AD simply being a fact of life. They do happen and sometimes people end up shooting themselves. Second, the prevalence of Glock, especially among law enforcement. Put these two together and you see why so many AD include Glocks. I don’t think the Glock trigger is that light. There’s far lighter triggers and again, something actually has to pull it for it to fire. If Glocks were that dangerous, they wouldn’t be in the holsters of most pros, used by more LE than any other gun. As you say, everyone has an opinion and I sure respect yours and appreciate your email. Hope everyone is sheltered-in-place already and prepared for Hurricane Harvey. 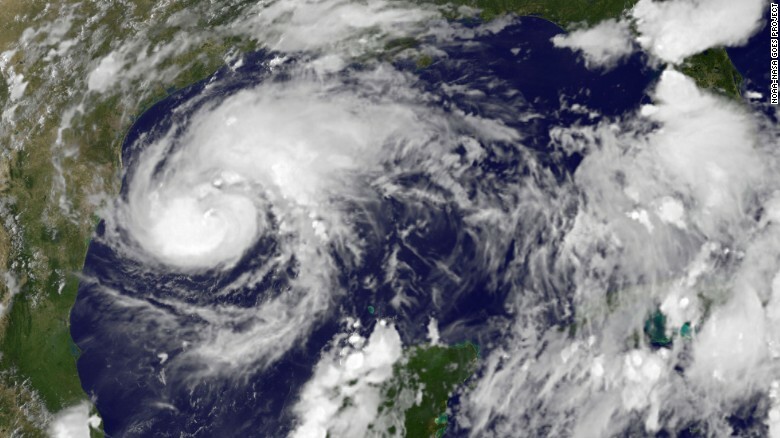 You should already have plenty of stored water, food and other essential supplies. Try to stay put, stay off the roads, make sure everything it locked and tied down to reduce the amount of flying debris out there. Any updates you want to share with the rest of us leave your comments below. Good luck everyone and stay safe! SIG P320 Drop Test: What’s wrong with the US Army’s new sidearm? On January 19, 2017, it was announced that the SIG Sauer P320 had won the United States Military XM17 Modular Handgun System competition. Becoming the new US armed forces sidearm was a huge deal, even more so because it beat their hated rival in the process, the Glock pistol. Anyway, the difference between fanboys and actual firearms experts is that anyone that knows the first thing about weapons design knows that the P320, in spite of its design pro and cons, simply hadn’t past the ultimate test: Time. You see, when certain people (me included) recommend Glock and mention it as without a doubt the best combat handgun in the world, we don’t do so out of blind fan adoration, we do it out of clinical observation. Simplicity, weight, accuracy, durability, reliability, commonality, ease of use, these are all important and they are the reason why the Glock is the most copied combat handgun design, but none of this would matter if it hadn’t passed the test of time. You see, the Glock 17 was adopted by the Austrian military and police forces in 1982. Shortly after by the Norwegian and Swedish armed forces and more recently in 2013 the British Army adopted the Glock 17 Gen 4 to replace their Browning Hi-Power pistols. Why didn’t the US Military adopt it as well? All excuses aside, it came down to a matter of politics. The American military doesn’t want to carry around all day long a very non-American, rather very European firearm. Silly? Maybe, but it’s the same reason why they didn’t go for the FAL and chose the M14 instead while the rest of the world saw the potential of “the right arm of the free world”. But all this brings us to the fact that way too many people spend their hard earned money on a gun that wasn’t nearly as proven as they thought it was. They believed that the army adopting it instantly gave it all the credentials they needed. Guns & Ammo ran with this now infamous cover. And then someone dropped his P320. You see, the trigger in the P320 is too heavy, and inertia is enough to dischage the weapon when dropped. Glock covers this potential issue with its trigger safety, which the P320 lacks. Now Sig fanboys are on meltdown mode. Quite honestly a modern firearm with such a massive design flow should not be carried. That Sig chose to play dump and not do an official recall and instead offer an upgrade in their “voluntarily recall” added offense to insult. The upgraded trigger isnt looking very good either. Is the P320 a viable carry option? Of course its not, at least not with such a design flaw it isn’t, and the upgraded trigger is having problems of its own. Good guns are like good software or good cars, they need to be tested and get the bugs sorted out. In the case of guns we’re talking about decades of recorded use in the field, both battlefield and street. For your concealed carry gun, its particularly important to stick to reliable, well proven models which you know you can count on. The P320 simply isn’t that gun, at least not today. A couple days ago something happened to me that in my opinion perfectly illustrates what EDC is all about. My wife needed something from the grocery store down the street, just a couple blocks away. Its pretty close but I like going with her so that she doesn’t have to carry heave stuff. I was wearing just underwear and a tshirt. It’s pretty hot around here in Costa del Sol this time of the year. So I quickly put on my 5.11 taclite shorts and head out with her. Since it was just a couple blocks I didn’t bother checking my EDC much, it was just what I had in my pant’s pockets. As we approached the store, we saw these two cars parked, several people were screaming and a baby crying. Some bystanders were staring but didn't want to get involved in what seemed to be a family dispute, but there was a lot of shouting and crying, mostly around the baby which the woman kept pressed against her chest. My wife told me not to get involved, and usually I wouldn't but the baby crying was a bit too much. It crossed my mind that if that was my wife and that was one of my kids, I would want people to help and not just stand there. I approached them and asked what’s going on but I already saw that the baby's ear was somehow stuck to its mother chest. "Scissors! Scissors!" they all started shouting when they notice me. I had my Leatherman Charge with me so I brought it out. Somehow the baby got its earring stuck awfully bad in its mother's bunched up top, pulling at the ear almost to the point of tearing the baby's ear off, which looked like an elastic band about to snap. 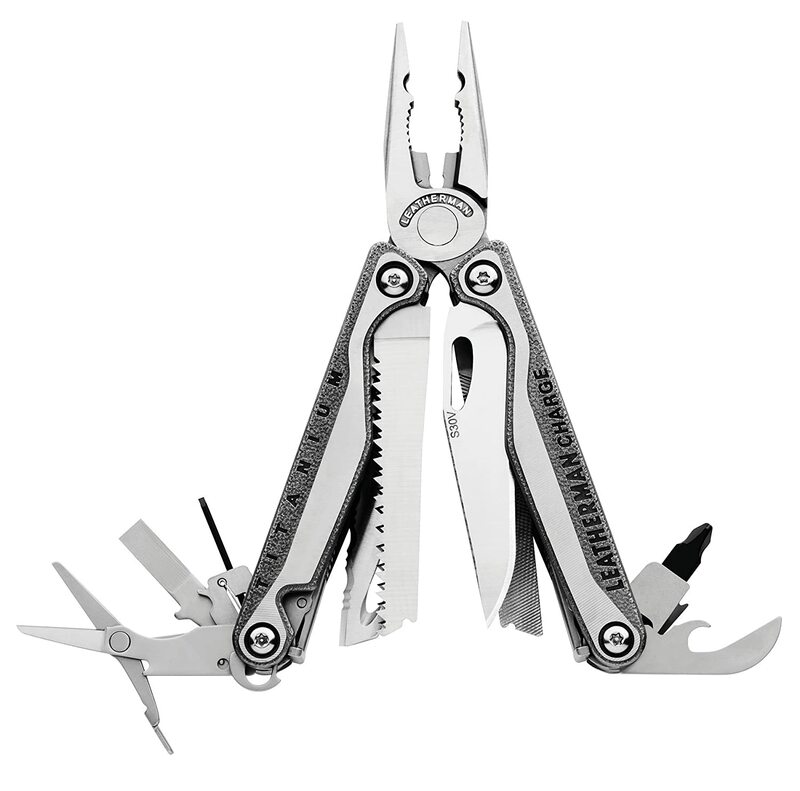 The Leatherman Charge has a hook for cutting belts but push cutting was not an option. The baby's ear was pulling extremely tight and I saw no chance of using the hook without ripping the baby’s ear. Even the serrated emergency blade seemed like a poor option, so I used the main blade which out of pure coincidence I had sharpened razor sharp a few days ago. All this went through my mind in a fraction of a second. So the baby was desperately crying, the mother was crying, what I assume was the grandma was pulling and holding the clothes for me to cut and the idiot husband and some other guy were shouting and pushing at the mother for her to stay still and none of them would stop moving. And I had like 1/4 of an inch of room to put the tip of the knife through and cut, which I did. As soon as I touched the fabric it cut through it like a hot knife through butter. The baby was free with a piece of cloth still attached to her earing and the mom had a big hole on her top. Anyway, never thought I'd end up using my Leatherman for that in a million years. It was as these things usually are, completely unexpected. After a decade of continuous use, I can say my Leatherman Charge has been the tool that I have used the most, the one that has been more critical when needed and the last one I would want to part with. I just cant recommend it enough. If its too pricy, the Leatherman Wave is every bit as functional, just make sure you get the pocket clip for it and carry the thing every day. 1)Carry your edc. You never know when it may come in handy. Even more critical, you never know when it can prevent serious injury or even death. This time it was a baby’s ear. Sometimes it’s a rope or cord, or wire around someone’s neck. Or clothes or hair caught in machinery. A couple years ago I remember a kid dying when accidentally tangling cord around his neck and slipping in a slide in a playground. You just never know, but having a cutting tool, wire cutters and saw to break someone free may be critical when seconds count. 2) Layers work. That day I left home without my wallet, which I take with me 99% of the time when I walk out the door. I could have easily left behind the tools I ended up needed. My point is that you need to plan on screwing up, and here is where layers of tools make a big different. My keys are that core layer. There I have my trusty Minichamp and a spare AAA flashlight. If nothing else, I have those. Since I need the keys to open the door and get back into my house, chances are very slim that I’ll leave home without them. 3)Keep your EDC in top notch condition. Your tools need to be checked and serviced. Your CCW needs to be fired often, your ammo replaced, magazines checked. 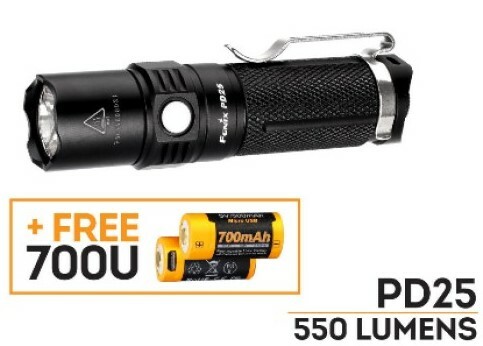 Your flashlight needs to have working batteries, and your knife should be as sharp as realistically possible. Some people that carry knives carry DULL blades. This simply isn’t acceptable. I’ve used the blade in my Leatherman Charge more than any other knife in recent years. It’s visibly worn but it is razor sharp and I touch it up when I notice it isn’t biting as much. In this case, like when a baby’s ear is stuck and you need to cut with as little effort as possible, then it’s crucial for that blade to be like a scalpel. Take care people, and don’t leave your EDC behind! 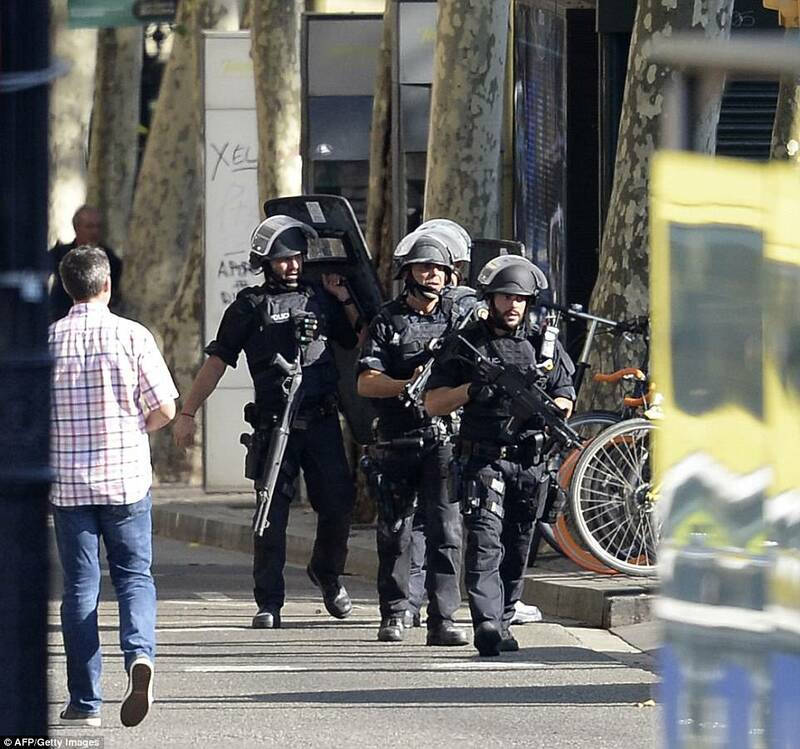 You probably know by now that a van plowed into the crowd on Las Ramblas avenue in Barcelona, killing 13 and injuring 100 people. As soon as I heard about the attack I called my brother who was visiting family in Barcelona. Fortunately he left yesterday, a day earlier than expected. He had been thinking of staying another day. He easily could have been caught walking La Rambla if they had stayed another day. Another terrorist attack, another lunatic picking a big vehicle and just mowing people. You can’t do much to stop these events because cars are readily available and it takes very little research to figure out the most packed locations. You can do something about letting known terrorist out and about. You can deport know radicals rather than give them some slack and just hope they don’t murder innocent people. Above all, you can remove every single mosque that doesn’t publicly condemn these attacks and cooperates with authorities 100%. The number of imams that refuse to do so is astonishing and getting rid of those would be a big step forward in getting rid of their most visible and obvious indoctrination centres. It seems though that not enough blood has been spilled to overcome political correctness. What can you do on a more personal level? 1)Know where they attack. They usually go for high profile targets. Large, emblematic cities, attacking in their centres. 2)Avoid these potential targets, especially at time of peak activity with target rich locations. Concerts, festivals, peak holyday season. Wherever you have a lot of people packed together, that’s an ideal target for a terrorist. I’m not saying not to live your life, just understand the risks when it comes to terrorists. 3)Awareness. Mind your surroundings. Look ahead of you and behind you. What’s going on 100 yards ahead and 100 yards behind. LISTEN. This is usually a great indicator of trouble. Shots fired, screams. In my experience you usually hear trouble before you see it. 4)Take action. Avoid being the deer caught in the headlights. When you see, listen or feel something is wrong, do something. In most cases that “something” should be start moving towards a safer direction, either getting behind cover, avoiding a speeding vehicle or attacker heading towards you. 5) Carry your EDC kit, especially a first aid kit in your EDC bag when at high risk locations as the ones mentioned above. Celox gauze, a tourniquet. Add a blow out kit if you got trainning on how to use it. Don’t forget your EDC, a knife can be used to cut open clothes, remove cords or clothes or seatbelts wrapped around people’s neck. Heck, I used my knife today to help out a baby girl in the street (more on this tomorrow) Where and when legal, you should carry your CCW too. If you’re looking for some INFI steel knife from Busse they have a pretty neat knife available at the moment for $259.95 called the INFI Dog Soldier. INFI knives are usually around the 350ish to 500 buck range so the $259 price, while high, isnt that bad. Especially given that these days any 1095 "survival" knife costs around or above 100 bucks. Good stainless steel knives often twice as much. Busse knives are often sold out in a matter of days and resold at higher prices.In particular INFI steel blades tend to be pretty expensive as you probably know, so while the price isnt cheap, you do get something neat in the knife world, but also a steel that is actually excellent. and you get to pick the blade color finish. No, I don’t make a single buck out of this, no commission of any kind, but I do write about these knives at times and they aren’t always easy to acquire so this is your chance if you want a high end blade. Here's the link. The current offer is the Dog Soldier, 6.25 inch blade, .210" thick. A solid blade geometry, great Respirine C grip. The only thing I’d like to have is a matte or satin polished finish but I can live with the black finish too, especially at that price. Get one while you can if interested, supply tends to be limited. In fact I’m posting this because I already ordered mine, which I will review once I receive it. This is a great story, explaining why this cop went from carrying 47 rounds of 45ACP to 145 rounds of 9mm. It just goes to show with a real-world incident why you probably need to carry more ammo and why that 5-shot sunbnose, while sure better than nothing, may still not be enough. Sergeant Timothy Gramins went from 45 ACP to 9mm (sacriledge! Right? Well, no) after 14 hits on a lone attacker with his .45 Glock 21, of which six should have been show stoppers (heart, right lung, left lung, liver, diaphragm, and right kidney) failed to stop his assailant. And attacker that was not under the influence of narcotics but just very determined to kill him. He went from a Glock 21 to Glock 17 (Glock 26 as backup). Three spare 17-round mags and a couple 33-round mags on his vest. Sure they have some great gear, and small survival tin kits with a lot of useful tools (and of course the training to go along with it) but I think it’s interesting that Robert O'Neill mentions CASH as the first thing that comes to mind if he ever has to make his way home on his own after a mission. What does he do when he gets a call right before getting in a plane to go God knows where? Hit the ATM for as much cash as he can and buys some tobacco. “I know I’m going to jump somewhere but I don’t know where I’m going to end up. And I can buy my way home with money, or somewhere else I can barter with tobacco…plus I love tobacco”. Folks that have never been to 3rd world countries just don’t understand the power of a 20, 50, let alone 100 USD bill. With absurd conversion rates in most of the third world, a 50 dollar bill is in parts of the world more money than the average person there will see in the same place in his entire life. You can buy shelter, food, you can buy transportation or even loyalty. I’ve always avoided giving financial advice. Not my job and just too much responsibility. 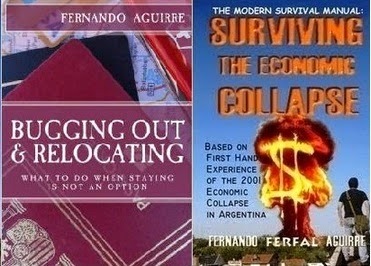 When it comes to such a thing, I just stick to what I know well which is economic collapse. It’s what I went through and it’s what I’ve researched over the years. When it comes to an economic collapse there are a few basic points to keep in mind. When everything is going to hell, you can count on banks screwing you to save themselves. Closed doors and a “Me speako no English” sign on it… in New York City. Frozen accounts, conversion to new currencies worth a fraction of what the original one was worth. Precious metals provide a hedge against hyperinflation or full economic collapse. They are an established commodity over thousands of years, accepted as something that holds intrinsic value. IT doesn’t matter if it’s just a chunk of metal. In our minds, and now for thousands of years, “its worth its weight in gold”. And oil is worth its weight in oil, so are cereals, beans and so on. And then there’s bitcoin. A complex cryptocurrency which most people don’t even fully understand what it is. The only way to understand more is to spend several hours, maybe several days reading up. What’s important to understand is that Bitcoin is a commodity. The best way to describe it would be the digital gold of the internet era. No, its not gold, nor is it silver. The piece silver in my pocket, a 1964 Kennedy half dollar, is material, tangible, but that doesn’t mean Bitcoin isn’t valuable as well. What it lacks in tangible peace of mind it has in liquidity. Its easy to move around, access and sell all over the world. Its not controlled by anyone, no government. For Bitcoin you'll need a Bitcoin wallet. Which one? I'm not affiliated in any way to any of them and cant recommend a specific one. Just look online and go for the one with the best reputation. When asked for financial advice I’ve always kept a pretty conservative position. Diversify, some cash is important, very important actually. Some money in the bank, some money in a bank in a different country, some precious metals, investing in reliable stocks, investing in good real estate. And yes, putting some money in Bitcoin. Bitcoin has been going up non stop this year. Will it stop and drop? Probably. Will it go up even more in the long run, maybe a LOT more? I think that’s very likely. While its digital nature means there’s always the risk of hacking or other tech related problems, its ability to be moved around, the market for it, easily converted to different currencies and increased acceptance are advantages worth noticing. I was reading the news today and read something President Trump said about people not moving to where jobs are available. Vehicles sit in rush hour traffic at the interchange between the Interstate 405 and 10 freeways in this aerial photograph taken over Los Angeles, California. (Patrick T. Fallon/Bloomberg). President Trump said something last week that deserves a lot more attention. Americans “are going to have to start moving,” Trump said in his interview with The Wall Street Journal (Politico leaked the full transcript of the exchange this week). Americans aren’t packing up and moving as they used to. Mobility is at an all-time low, according to the Census Bureau, which has tracked how many Americans change addresses since World War II. About 10 percent of Americans moved in the past year, the Census Bureau found. That’s way down from the 1950s, '60s, '70s and early '80s, when more than 20 percent of the nation was on the go. Making ends meet is a key factor when it comes to finances, a rather important aspect of preparedness. I read all the time about people not finding jobs, or not finding good ones or jobs that pay well. Well… sometimes there aren’t any around and you need to move. Especially in smaller communities this can be an issue, even more so if the specific town or general area is going through a depression. In general people don’t like moving. It’s a very natural instinct to feel safe in the environment you know and avoid changes but sometimes they are necessary. It’s also true that once you do it a couple times it gets easier and moving when needed or when you feel like it isn’t scary any more. Like with everything else in life, we adapt, we get used to it. And when you get used to adapting to new places, new people and new surroundings you don’t stress over doing it again if you have to. Now I’m not saying move around all the time. Sometimes though, it is worth the effort, especially if the economic stability will allow greater peace of mind, security and overall a better quality of life in general.